Buyers are realizing the advantages of hard flooring. While carpet floors may be soft to the touch, it’s also a dust trap, and no amount of vacuuming or steaming can keep it clean 100% of the time. And even with hardwood flooring, homeowners are realizing the maintenance needed to keep them looking like new. Simply by scooting up at the dining room table could cause a major scuff on the floor. You’re either left to paint it in with some sort of hardwood solvent that doesn’t work or makes the surface look worse, paying hundreds of dollars resurfacing the floors, or buying a throw rug to place under the dining room table! Why spend the money beautifying your floors if you’re just going to cover them up with carpet anyway? There’s a solution to all this madness. 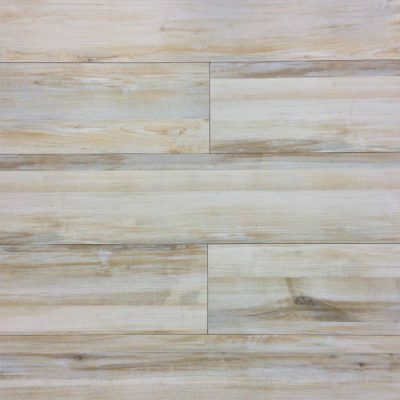 Porcelain wood-looking tile flooring. Not everyone knows that there is even such a thing, but there is, and what’s more is that it’s not all that more expensive than marble tile flooring. So if you’re looking for a different type of hard flooring, consider porcelain wood-looking tile. There are quite a few benefits. First of all, the porcelain wood-looking tiles actually have a higher-looking quality than wood flooring. While it looks like wood, its surface has the sheer gloss that porcelain tiles usually have. Granted, it won’t be as obvious to the eye, especially with vertical graining that a wood looking tile typically has. However, it will offer the warm feel that you’d expect, but with a twist of sophistication. The wood-look is often synonymous with the log cabin—a woodsy rustic feel, but with porcelain-looking tiles, you can add a touch of sophistication to your build merging the natural and high-end look to a space. Another great benefit with porcelain wood-looking tiles is that no matter what color of grain you choose, it will always be a natural-toned shade. When building residential dwellings, it’s always best to go with a neutral tone so that it appeals to all buyers. The key is to not design a space that’s too taste-specific, less you turn some potential buyers off. It’s typically left up to the buyer to add his or her own splash of color. So neutral tones are the way to go when you’re building any kind of dwelling. Some might argue that choosing a porcelain wood-looking tile might be too taste-specific, but you can also argue that most builders are collecting tons of natural stone tiles for high-end builds. If this is indeed the case, then it can be said that most high-end builds, whether it’s residential or commercial all have some type of natural stone flooring. After awhile, this becomes as standard as herringbone carpet is today. And when your building for high-end buyers in particular, as a building contractor, you’ll be expected to always create something that’s just a little different from your competitors. It’s good business, and it’ll also give you a niche, and that is always good when you’re trying to sell anything! So the question is what can you actually do to make your building project stand out above your competitors while staying true to the neutral theme? This is where your porcelain wood-looking tiles come in. Alberta Cream – Starting out $3.95 per square feet, the Alberta Cream comes in 8″ x 45″ x 3/8″ size tiles gives off a grey look, but can warm up a space thanks to its golden brown toned grain that’s printed on the porcelain tile along with ivory, white, and yellow. Even with its porcelain properties, this has a honed and matte surface. Vancouver Maroon – Starting out $3.95 per square feet, the Vancouver Maroon comes in 8″ x 45″ x 3/8″ size tiles giving off deeper colors of Maroon, toning it down with brown with hints of red also with a honed and matte surface finish. Vancouver Ceniza – For designers seeking out a high-end type of rustic design, the Vancouver Ceniza is the perfect porcelain tile. Starting out $3.95 per square feet, this tile also comes in 8″ x 45″ x 3/8″ size giving off somewhat a masculine sleek feel with a honed and matte surface finish. Calgary Crema – This type of tile might be the perfect selection for contractors building a fleet of model homes. The Calgary Crema gives off a warm feel because of its wood-looking properties, but is far lighter than the Vancouver Maroon. It’s arguably the best option when it comes to stocking the most neutral tone for your builds. This tile also starts off at $3.95 a square foot measuring at 8″ x 45″ x 3/8″. Montreal Maroon – Now, if you are truly looking for the rustic look of a wood-looking porcelain tile, consider the Montreal Maroon that has the distressed look of the country classic style that you would consider weathered wood to look like. It’s going to have the same colors as the Vancouver Maroon, but looks completely different. Here again, you’ll find that this tile also starts off at $3.95 a square foot measuring at 8″ x 45″ x 3/8″. Other types of wood-looking porcelain tiles are Toronto Marfil, Montreal Crema, Montreal Gris, Bambu Silk Taupe and Bambu Silk White. Nalboor Tiles’ Bambu series offers a finer grained surface that’s unlike the traditional wood-looking porcelain tiles, but nonetheless mimics a natural tree. View all of the wood and natural-looking porcelain tiles on our online inventory here. Then order a free sample of the ones that interests you the most by contacting a Nalboor Tiles customer service representative at 305-501-4548 and reach us through our online contact form today. Vancouver Ceniza is a grey porcelain tile with matte wood grain prints .This rectified tile is from Spain. 8"x45" planks are the perfect size for this type of material.